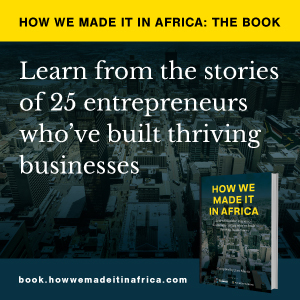 Co-author of Where to Invest in Africa 2018 Celeste Fauconnier. “The last three years have sounded an alarm, amplifying what is now a dire need for the economies of Africa to shift their focus from traditional sources of income to other viable alternatives,” says Neville Mandimika, RMB Africa analyst and contributor to Where to Invest in Africa 2018. Egypt displaced South Africa largely because of its superior economic activity score and sluggish growth rates in South Africa, which have deteriorated markedly over the past seven years. South Africa also faces mounting concerns over issues of institutional strength and governance though in South Africa’s favour are its currency, equity and capital markets which are still a cut above the rest, with many other African nations facing liquidity constraints. Morocco retained its third position for a third consecutive year having benefitted from a greatly enhanced operating environment since the Arab Spring which began in 2010. Surprisingly, Ethiopia, a country dogged by socio-political instability, displaced Ghana to take fourth spot mostly because of its rapid economic growth, having brushed past Kenya as the largest economy in East Africa. Ghana’s slide to fifth position was mostly due to perceptions of worsening corruption and weaker economic freedom. For the first time, Nigeria does not feature in the top 10, with its short-term investment appeal having been eroded by recessionary conditions. Uganda is steadily closing in on the top 10 though market activity is likely to remain subdued after a tumultuous 2016 marred by election-related uncertainty, a debilitating drought and high commercial lending rates. Though Botswana, Mauritius and Namibia are widely rated as investment grade economies, they do not feature in the top 10 mostly because of the relatively small sizes of their markets – market size has been a key consideration in the report’s methodology.